A lot has happened musically and beyond in the last month. Music wise, The Stone Roses released only their second new song in over 15 years, Soundcloud is now full of adverts and NME is full of emoticons. Elsewhere the Euro 2016 football championships have kicked off in more ways than one in France, the EU in/out referendum is gathering pace and looking closer than originally projected and the new Chris Evans fronted Top Gear is absolutely shite. Aside from that though music fans, it’s officially festival season. Hoorah! Hearing those words is music to many pairs of musical ears, but also means a few things are on the horizon; unpredictable weather, overpriced alcohol, packed fields, the next big thing, the current big thing and quite a lot of travelling, walking and lazing around when you can’t be arsed putting the tent up, and that’s just the half of it. Those last few fall right into our hands here at Getintothis Jukebox HQ, as we’ve got a juicy playlist to save you from motorway despair and tent pitching stress….or back strain for you couch potatoes. So let’s get started! Beginning as ever on Merseyside and with quirky trio Bathymetry, an outfit who we’ve long supported on Getintothis, particularly in the run up to their debut album released last year. An album which has since received some very glowing reviews. This summer has already been a busy one for the group, who recently played a show a packed show at Buyers Club before heading off to play one of the countries leading new music showcases Alternate Escape at The Great Escape festival in Brighton. Following those gigs came an announcement that they’re to play Wirral’s new music festival Skeleton Coast this August, as well as the reveal of new track Gorgon, another lovely pop-ish addition to Bathymetry’s discography. Other new homegrown tracks of note come courtesy of The Roscoes, Katie Mac and Patchwork Guilt or, Phoenix Mundy as you may know her. The Roscoes delivered new track Skin ahead of their recent performance at Sound City + and it’s their best yet, raucous Indie-rock with a throbbing soul. Katie Mac also played Sound City+ last month and her new material is threatening to take her to vast new heights, non more so than her latest powerfully raw cut, Goodbye. Playing The Cavern for BBC Introducing earlier this year and now being named part of LIMF this July, Katie is going from strength to strength for what could well be her defining year. Finally we finish with Patchwork Guilt. The Bristol/Liverpool based hybrid of songwriter and experimental tinkerer, Phoenix Mundy. Enthusiastic New track Gold Books is simply delightful artistry that should be embraced by far more radars than is currently the case. Two new Manchester artists are also on the Jukebox radar this month, post-punkers TYPES and creative power and songwriter E.V.I – both of who are brand new to our ears. The former nod towards late 90s dark-indie groove culture whilst the latter is reinventing the wheel with ambient and creative juices in full flow. Both are terrific and fill a spot for differing moods. 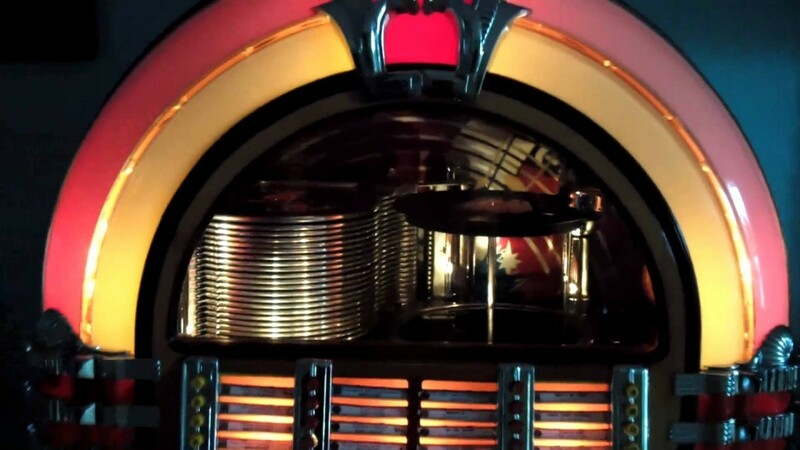 As always Getintothis Jukebox provides a bitesize outlook on the month of gigs ahead and digs out a few gems well and truly worth the admission price. This month there’s Liverpool Calling festival at Camp & Furnace featuring Findlay, Spector, Coasts, YAK, The Jackobins and many more on July 9, as well as The Maccabees festival warm-up gig July 14 at O2 Academy, ahead of their Latitude headline appearance, and finally Father John Misty’s big Liverpool Guild Of Students show with Harvest Sun, July 16. Getintothis Jukebox is all about the new, unknown, wacky, experimental, innovative and ear-catching. Therefore our new music picks section is always full of something for pretty much everyone, month by month. June is no different, so get stuck in to this lot! Geordies Lisbon are set for another busy year as their live rep continues to grow and their UK tours get bigger and longer. New raucous indie hit Shark is quite simply made for the festival circuit and should soon be filling festival fields and larger venues alike. Hailing from London, The Shantics are fast establishing themselves on the UK scene too. Playing This Feeling shows alongside the likes of BABY STRANGE and putting out their debut release, pacey and thrillingly infectious indie foot-stomper with a pure pop chorus Maybe I, complete with a very creative lyric video. They’re certainly going places. Sheffield outfit Dead Natives released an EP full of potential a few months ago and now they’re back with new single The Love I Have. Hailing from a city steeped in music heritage, it’s easy to draw obvious comparisons but Dead Natives are forging their own path, led ably by the outstanding songwriting talents of frontman Liam Dutch and backed up by the honest riffs and tones they churn out as a unit. Teenage sensation Declan McKenna has toured with Blossoms and played major festivals up and down the country and now he’s strengthening his grip on the UK’s quirky alt-pop scene with new gem Bethlehem and a UK tour of his own. Back in the new year, breakthrough star Pixx topped our Getintothis new music tips for the year ahead, cropping up a handful of times across the board. Now the 4AD signed pop creative is back with a fantastic new single Baboo and a quirky video to boot. Press play. Read Getintothis writers’ new music One’s To Watch tips for 2016, featuring Pixx and many more here. ABRA’s announcement of a new EP titled PRINCESS and a subsequent new track Crybaby went down a storm online. It also goes down a storm in your ears, teaming pure 80s and 90s freestyle bliss with flowing synths and glowing vocal lushness. London-based artist Jorja Smith’s impact on 2016 cannot be ignored. Adventurous songwriting and deft hook-filled beats on new release Where Did I Go, proves debut single Blue Lights was no fluke, in fact it was the beginning of a star being born. South Londoner Junk Son provides an atmospheric edge to our Jukebox with Crawl, minimal melodies and stirring evocative textures make for blissful listening, really lovely stuff. Elsewhere prolific producer Lil Silva recently released De Ja, a deconstructed R&B gem with hooks galore and light pop dynamics featuring Kent Jamz, and Sampa The Great recently released the beat-ridden, attitude-filled bop 24, both will feature heavily on playlists this summer, why not whack them in yours and impress your mates. Our guests this edition are Vincent, Ranald, Josh and Oscar of London band Hidden Charms who’ve recently released their infectious new single, the downright filthy blues-trip Cannonball amongst a very busy festival season. The band have picked out Jame Gumb by Madrid band The Parrots who are set to release their debut album Los Ninos San Miedo on Heavenly Recordings this autumn.